It would be remiss if I didn’t reveal that my friends, Umi and Gillian were in fact, the ones that introduced me to my island fix aka – Simone’s. They always spoke about grabbing lunch at Simone’s Caribbean restaurant, but having a West Indian background, I was highly suspicious of the food. Could it possibly be as tasty and authentic as my Trini mom’s cooking? Naaah, I thought. So, I’d always decline and make up an excuse when they asked if I wanted to join them. But after months of watching them joyously shove succulent portions of jerk chicken, barbeque chicken, rice and peas and even fried chicken (my weakness) in their mouths, I couldn’t take it anymore. I had to try it. I accompanied Gillian and another friend (Amanda) for lunch and ordered the jerk chicken lunch special (sorry folks, the lunch special is over). Even though I ordered it, I still had my doubts. But after months and months of waiting and wondering, I was curious to see how the food fared. The anticipation was next level! This was the moment! Once I received my food, I slowly opened the styrofoam container, and a spicy jerk aroma floated into my face. Damn, if it tasted half as good as it smelled, I was a lucky girl. With one mouthful, I knew it was the real deal. The chicken was juicy, spiced right and finger licking good! I was equally overjoyed with how good the serving of rice and peas was. It wasn’t dry like it tends to be – it was moist and tasted like heaven. Don’t judge me by the next thing I tell you, but I had the jerk chicken meal about 3 times in the following 2 weeks. I’ve only recently decided to explore more of the menu. A month ago, I visited the restaurant when I wasn’t super hungry, but wanted a small bite to eat. I ended up getting an order of Johnny cakes (fried dough eaten like bread) and an order of the codfish fritter. The friendly dude at the counter assured me that they were “very tasty”, but yet again, I would be the judge. Before I even dove into my food, I shared my meal with a few friends as I wasn’t super hungry. When I sunk my teeth into the Johnny cake and the fritter, I kinda regretted my generosity. They.Were.Good! 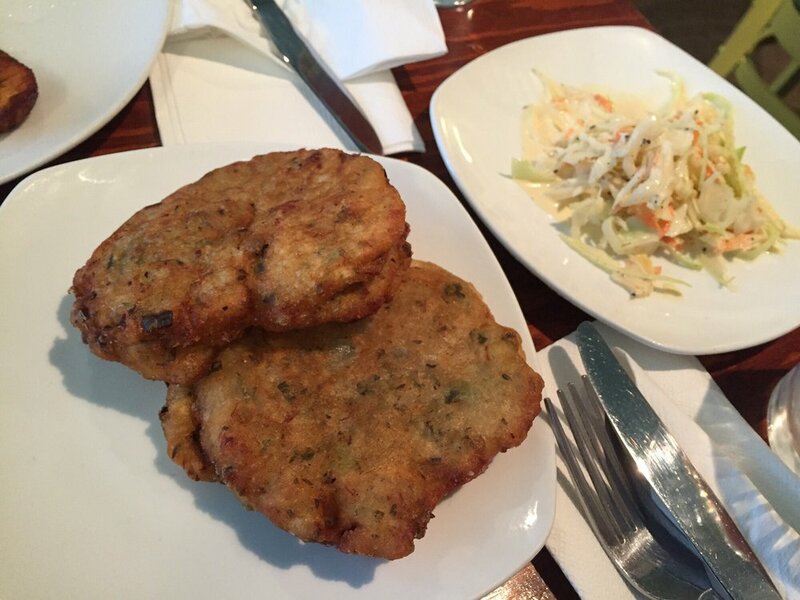 The Johnny cakes were hot and fresh and the codfish fritter was literally the best thing I’d eaten….ever! It was salty and I could taste every bit of love that went into it. Is it surprising that I felt compelled to write about this restaurant? I’ve eaten the food, spoken with the friendly staff and chatted with owner Simone herself. I had to show her how much I love the food and appreciate the good service. 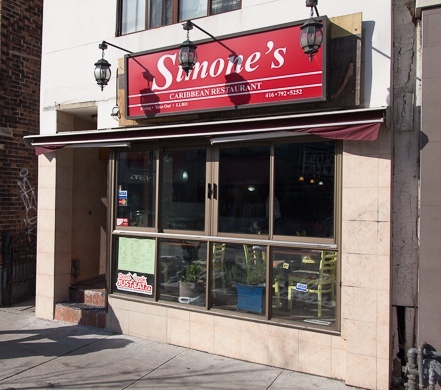 So if you’re heading out for authentic West Indian dishes, you MUST check out Simone’s. Just one small thing, you might have to wait a while for your food, but it’s well worth it. P.S. – the codfish fritter made me a customer for life!